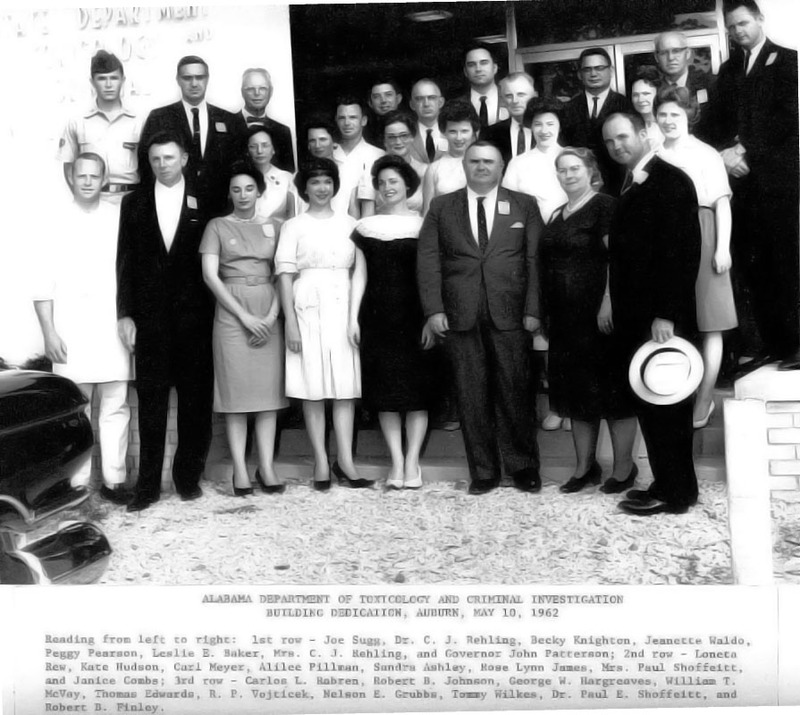 At that time the State Chemist was both Director of the State Department of Agriculture's feed and fertilizer assay laboratory at Auburn and also the Dean of the School of Chemistry, Alabama Polytechnic Institute (later to become Auburn University). He had the legal responsibility to perform chemical analyses of foods and vital organs in cases of human poisoning. No funds, facilities or remuneration were provided him for this purpose. He used the available facilities of the Agricultural Laboratory in Auburn and traveled at his own expense. Needless to say, the services were very limited and, indeed, an extra burden on an official with many duties. Upon the Death of Dr. Bennett Ross, Dean of Chemistry, in 1930, the combined duties devolved upon Professor Cliff Hare. He assigned the toxicology duties to Hubert W. Nixon, an employee of the Agricultural Laboratory. He was directed to cooperate with law enforcement in their need for toxicology services. In accepting the new challenge, Nixon enlisted the services of his friend and young member of the faculty, Carl J. Rehling, to assist with difficult cases. Rehling had received his degree at API in 1929, and was serving as an instructor in Analytical and Organic Chemistry. 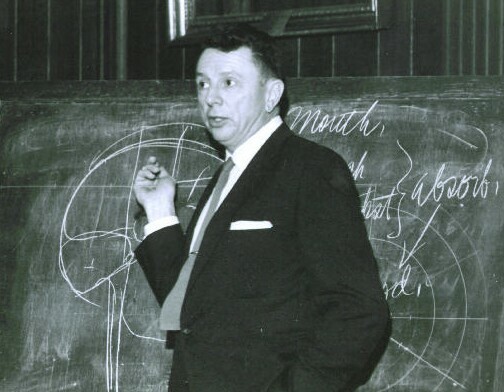 He would later obtain his Ph.D. Degree in Chemistry from the University of Wisconsin during the latter 1930s. Together Nixon and Rehling were able to solve many difficult problems in toxicology over the next several years. Early on, those involving criminal prosecution were jeopardized due to problems with chain of custody. Some of the samples were not personally delivered to the laboratory and were subjected to poor handling by common carriers and were therefore inadmissible in court. The two scientists also solved those problems, often by exhuming the bodies to procure additional samples. Many district attorneys began to take note of the success of the twosome. A notable observer was State Attorney General Tom Knight. He prosecuted the retrial of the infamous "Scottsboro Boys" cases in Decatur. He later lamented that Alabama needed an agency to assist law enforcement in the adjudication of cases much like the one that resulted in the conviction of Bruno Hauptman for the kidnapping and death of the infant son of Colonel and Mrs. Charles A. Lindberg in New Jersey in 1932. The key exhibits in that case involved examinations of handwriting and comparisons of wood. 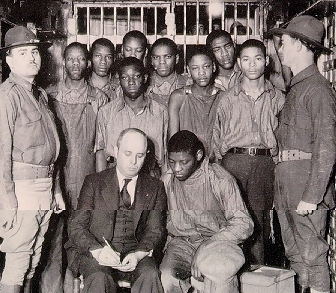 The "Scottsboro Boys" cases in north Alabama involved the prosecution of nine black men who allegedly raped two white women from Huntsville on a train traveling between Chattanooga and Memphis in 1931. The train was stopped in Paint Rock, Alabama, west of the county seat of Scottsboro (Jackson County), where the men and women (who were traveling together) were arrested for hoboing. The women then alleged that the men had raped them. Scottsboro was the site of the first trial and the men were convicted solely on the testimony of the two women. No scientific evidence was used in the cases. The men were finally released from prison many years later and the cases were closed. Ironically, the first homicide case involving DNA evidence, to be successfully prosecuted in the State, would take place in Scottsboro in 1988 (State vs. Perry). Nixon and Rehling developed the idea for the new agency, together with the Attorney General's Office. Although interest was high in 1933 for formation of the agency, there was not sufficient time to draft legislation during the 1933 session. Meanwhile, several homicidal poisoning cases were solved in the embryonic laboratory and successfully prosecuted in the courts to give striking evidence and impetus to the efforts on behalf of a special agency with proper facilities and funding. During the next meeting of the legislature, in 1935, legislation was introduced. It was heavily supported by many of the District Attorneys, Lieutenant Governor and legislators as well as the Attorney General. Governor Bibb Graves signed the bill into law on July 17, 1935, thus forming the State Department of Toxicology. The establishment of the new agency was significant during the era of the Great Depression even though the original appropriation was only $8,500. H.W. Nixon was named as the first department head, State Toxicologist, appointed by the Attorney General upon the nomination of the State Chemist. Of the original appropriation, $3,600 was to pay his salary. The location of the Department was to be on the campus of Alabama Polytechnic Institute because of the available assistance of existing laboratories, libraries, and various scientific specialists. The agency was charged to cooperate with Coroners in their efforts to determine cause of death in those cases involving foul play and to provide scientific assistance to all law enforcement agencies operating within the State. They would also cooperate with the proper authorities in the investigation of animal poisonings. The State Toxicologist and his assistants were to have the same arrest powers as a Deputy Sheriff or State Trooper in order to, at their discretion, enter any crime scene for purpose of collecting evidence for the State. Realizing that integrity and competence were paramount in the functions and services of the agency and that political influences could not be controlling factors, the Department was made a separate State agency. Thus it receives its own appropriations from the Legislature and, once appointed, the Director may be removed for reasonable cause only. Duties of the Department head and the agency are set out in the Code of Alabama, (1975), beginning at §36-18-2. The name of the agency was later changed to the Department of Toxicology and Criminal Investigation and, in 1978, the legislation governing the agency was updated and the name was changed to the Department of Forensic Sciences, which remains today. The title of the head of the Department was changed from State Toxicologist to Director.